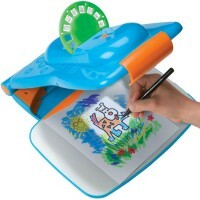 This drawing toy by Alex uses mystical technology so you can trace any picture onto any surface! 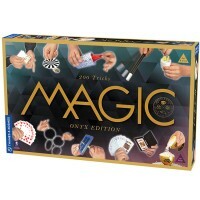 All artists need some guidance - so how about some magic guidance?! 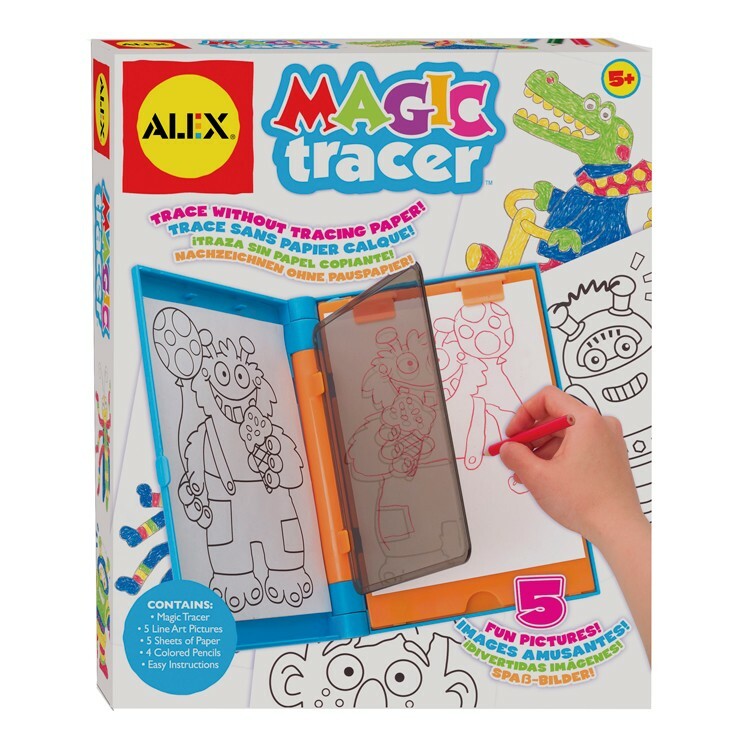 Magic Tracer Drawing Toy by Alex Toys is a great way to make sure your artwork comes out perfect! The Magic Tracer Drawing Toy requires no tracing paper. 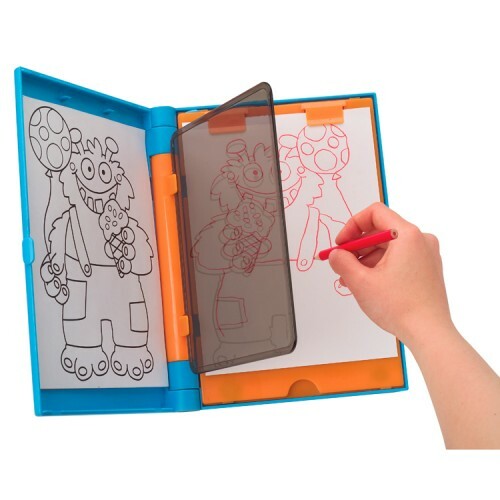 This tracing toy uses mystical technology so you can trace any picture onto any surface! 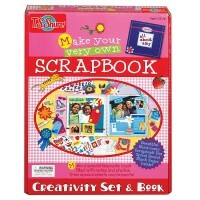 Draw your favorite image or choose one of our 5 line art pictures. 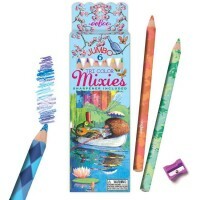 Then color it with the 4 artist quality colored pencils included. 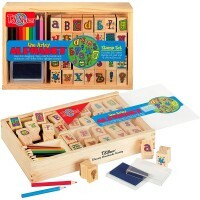 Educational Toys Planet offers this arts and crafts set as a great on-the-go play option perfect for any age and skill level. 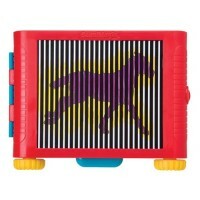 Magic Tracer Drawing Toy is a wonderful way to develop fine motor skills and refine your little artist's technique! 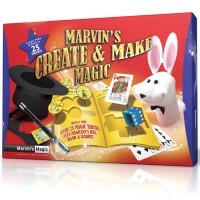 Dimensions of package 1.5" x 8.5" x 10"
Write your own review of Magic Tracer Drawing Toy. Rating: 3 by Lois, VA Difficult to open/close. Didn't really keep my 5 year old's attention very long. 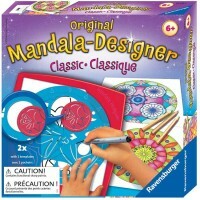 Rating: 5 by Martha, OR My 6 year old son likes this drawing kit very much. 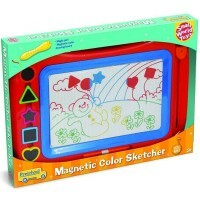 He draws really great looking pictures with this sketcher. I also like that he can play with it in a car. Rating: 4 by Blake, LA Purchased for my 7 year old. Takes patience and a steady hand. Harder if you stop and go, need to attempt to keep drawing as the pressure you put on the toy as you draw shifts.